I'm not much of a rev-head, so I don't know much about the history of Motorsport in Australia. 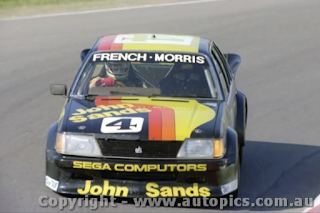 I am prepared to dive deep into it though, as I just recently found out that John Sands, the company responsible for distributing the SC-3000 in Australia, also sponsored a Racing team during the 1980s. 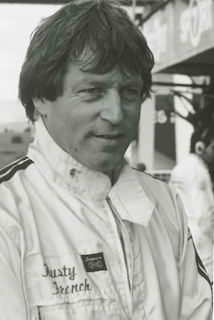 During this period, they mostly supported the career of the successful but little remembered driver Walter "Rusty" French. In an interview with Australian Muscle Car Magazine, Rusty commented that the managing director of John Sands at the time, who he met through a mutual friend, was a bit of a car nut. Naturally, this sponsorship led to some interesting cross-promotion of their Sega computers during the 1983 and 1984 racing seasons, with logos and advertisements emblazoned across Rusty's signature black coloured cars. The most famous race in Australia is the Bathurst 1000. It's a 1000 km touring car race around the Mount Panorama race track in Bathurst, New South Wales. In 1983, the John Sands racing team had the duo of Rusty French and former Bathurst champion Bob Morris, racing in a Holden VH Commodore. The pair qualified ninth in the top ten "Hardies Heroes" (the race at the time being sponsored by the infamous asbestos-peddler James Hardie Industries). Well, here we are again and it's basically one week later, so we're doing okay so far. If we're doing this thing alphabetically, then I've hastily skipped over the games that start with numbers in their titles. I suppose we could do them at the end, but let's do them now. I only have one anyway, but as you can probably tell from the [bad] in the title above, the news isn't going to be good. 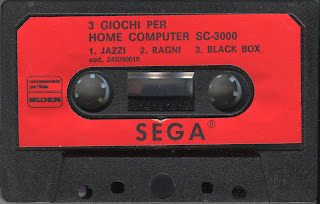 3 Gioche Per Home Computer SC-3000 (3 Games For Home Computer SC-3000) is an Italian release by Melchioni, the electronics distributor who brought the Sega SC-3000 into Italian homes. The company is still operating today, and back in the day were also responsible for the distribution of Atari and Commodore products into Italy as well. No cover scans for this one, I only had the loose tape. We're in a unique position here at the 1k 'yard. Most other Sega-related blogs or sites focus on systems and games that have been digitised, dumped and emulated for years - decades even. 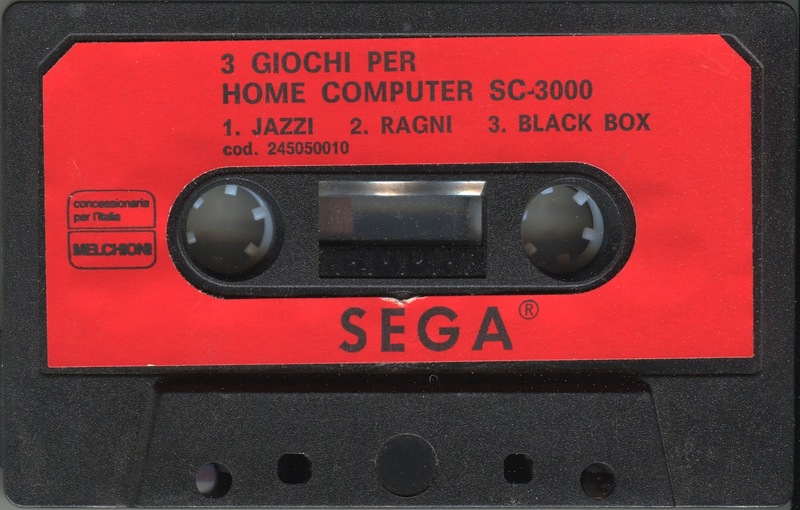 But once you've exhausted your Mega Drives and Master Systems and Game Gears and Saturns and Dreamcasts and even obscurities such as the Pico and Beena, where can you turn to for brand new, freshly minted, digitised Sega game dumps? Well, that would be right here of course, with the humble Sega SC-3000. The digitisation and preservation of games and software for the SC-3000 has so far been pretty thin on the ground. The guys over at SC-3000 Survivors have made a great start, with a handful of releases so far and an excellent tutorial on how to do it yourself with the M.E.S.S. emulator. I've been meaning to join in on this project for years, with about 100 .wav files sitting idly in a folder, languishing in digital limbo, begging for some digital restoration and remastering. I think 2019 might be the year I start to give it a red hot go. Starting today, I'm going to try and commit to releasing a new digitally restored and remastered SC-3000 tape dump each week (but don't be surprised if I falter after the first week, life has a habit of getting in the way). This will build up a collection of digitised SC-3000 software I'm going to dub the "GreatS3k" set. The name comes from the old "Good" rom sets, but I'm going to include cover scans, tape scans, and manuals where I can, which makes it better than a "Good" set, it's a "Great" set (I see you groaning, and I chose to ignore you). 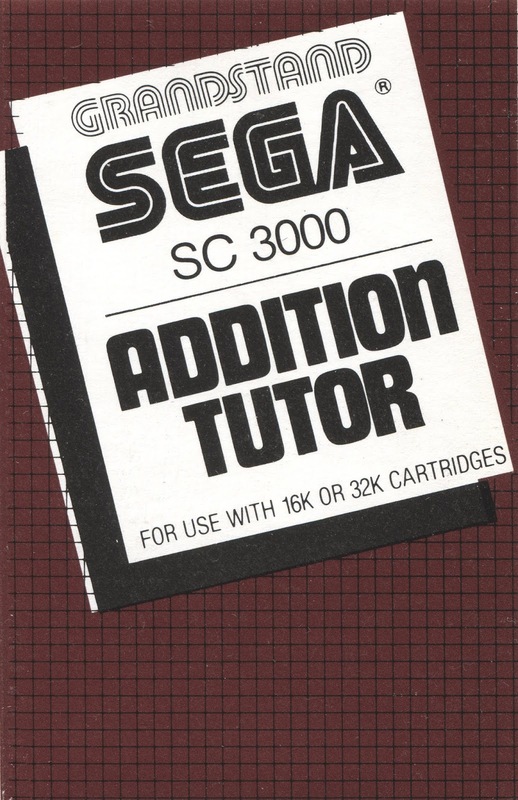 Addition Tutor was one of the very first games released by John Sands Electronics for the SC-3000 in Australia in 1983, and very likely part of the first batch of launch titles. It's not particularly fun or exciting, but if we discriminate against titles based on whether they are fun or exciting, than there aren't going to be many SC-3000 games to release in this collection. 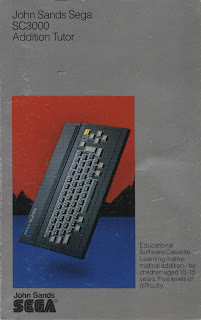 Even though I know for a fact that the SC-3000 was released in Australia, and I held physical proof in my hands, it never really felt "real" to me. I was too young to know about it during its lifespan in the early to mid-80s. I wasn't even ever really sure if it had a widespread release or was limited to just the big cities or certain states. I grew up in regional New South Wales, and I never saw one. Nowadays, it is such a niche and esoteric artefact to a forgotten age that is almost feels ethereal, as if it never really existed, or only exists in a vacuum in which I'm one of only a few who can still see it. It left almost zero impact on gaming culture in Australia. I never saw it mentioned in catalogues or Australian gaming mags and hardly anyone knows about it or talks about it (maybe I'm just talking to the wrong people). Seeing a commercial from the era, for prominent Australian cereal brand Uncle Tobys no less, with celebrity endorsement from Olympic swimming champ Lisa Curry, and suddenly the ghostly visage of the John Sands Sega SC-3000 is brought to life in grainy VHS recorded video. It feels very much real now. It was indeed a mass market product. It really did exist. 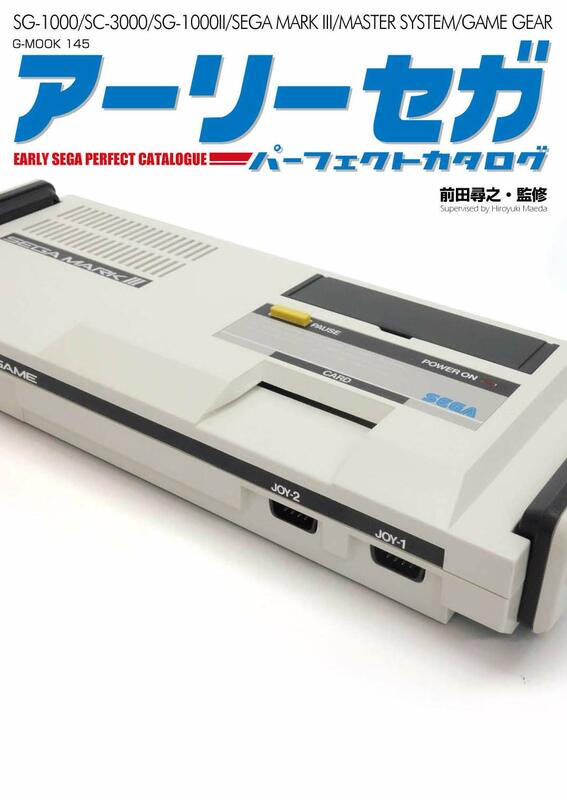 I'm not quite sure how this has managed to escaped my attention up to this point, but a new book covering the history of the SG-1000, SC-3000, Mark III, Master System and Game Gear is now available for pre-order via Amazon Japan. Less than three months ago we first heard the news; Analog's next console, the Mega SG, would support SG-1000 games by means of an adapter. While that system wont be with us until at least April, with the adapter coming later in the year, an SG-1000 FPGA core for a different device has just been released. The MiSTer project running on the D10 Nano FPGA board. MiSTER is an open source project that runs on the D10 Nano FPGA board. A group of highly skilled programmers have been working away porting old FPGA cores from the previous project MiST and creating all new cores exclusive to the new format for over a year now, with the total number currently standing at over one hundred. The vast majority of these are arcade, but there's also a healthy number of home computer and console cores now available. 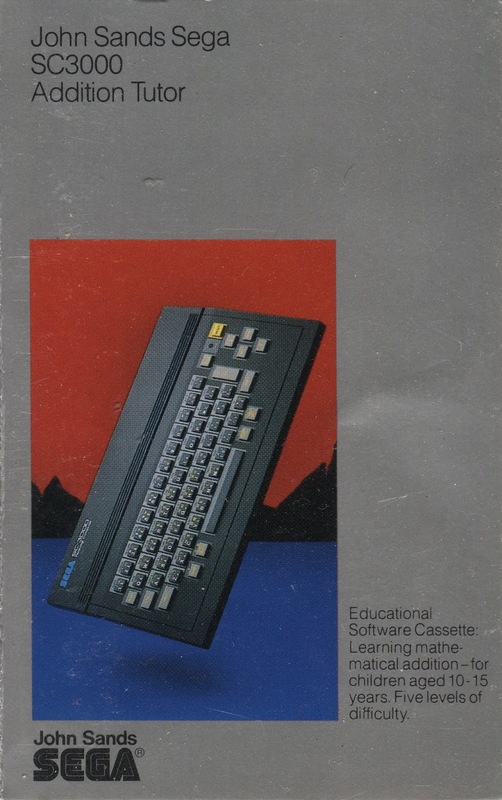 One of the more mature console cores is that of the Colecovision. It feels like forever since I last posted to the SG-1000 Junkyard, but it’s not every day we get SG-1000 related news, so here we go. 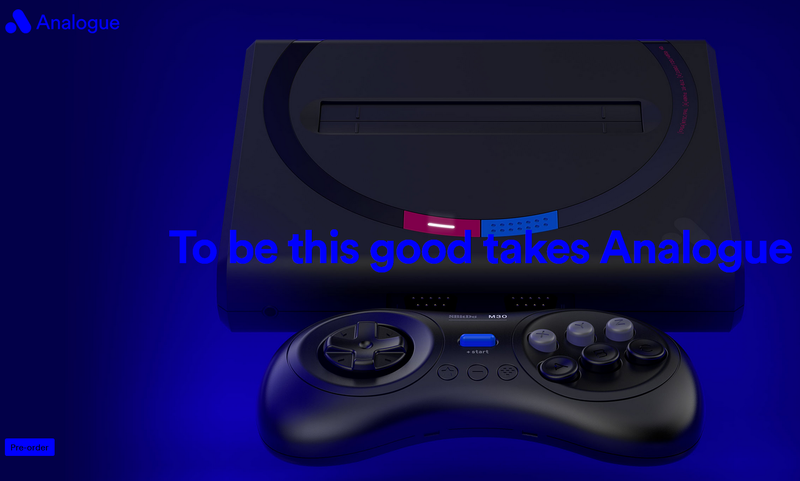 I’m sure many of you (yes, all three of you reading) have heard of the new FPGA console from Analogue, the Mega SG. Out the box, the Mega SG will support Megadrive/Genesis games from all regions as well as Mega/Sega CD disks for those who still own the original add-on unit. NTSC-U/PAL Master System games are also supported by means of a pack-in cartridge adapter.